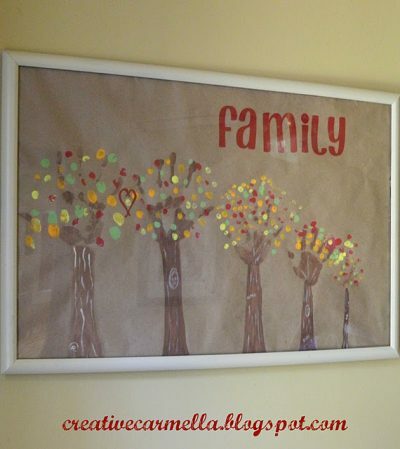 Create your own personalized family trees using your family’s handprints! This project would make a great gift! I love, love, love this! Have sent the link to my kids and told them that their grandparents would love to have this for Christmas. Me, too, actually!